Therapeutically restoring the balance between mind and body. 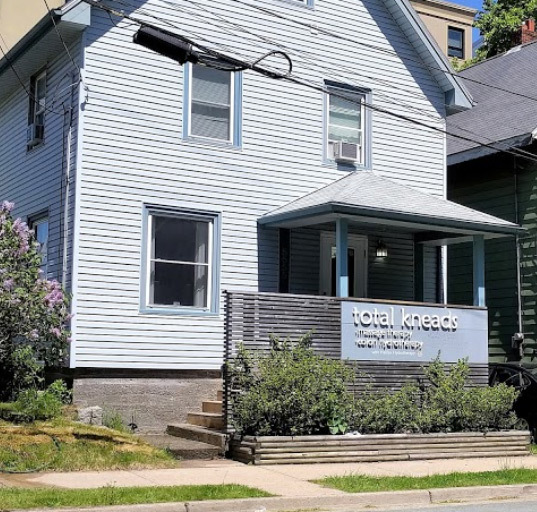 The total kneads team of professional, well trained, friendly therapists provides a variety of massage therapy techniques and acupuncture / TCM in a warm and relaxed environment. Our Hydrostone location is able to offer a wide range of therapy times during the week from Monday to Saturday. The goal of the therapists at Total Kneads is to provide quality care through effective treatments emphasizing the individuals specific needs. We presently have four treatment rooms and eight therapists. Easily schedule your appointment online. We’ll send you an email reminder after your booking. Total Kneads Massage Therapy Inc.
© 2019 Total Kneads Massage Therapy Inc. All Rights Reserved.